Nasser, who did not see his mother again for 12 years after his parents divorced, when he was 6, waited tables and worked at other jobs to support himself in school. 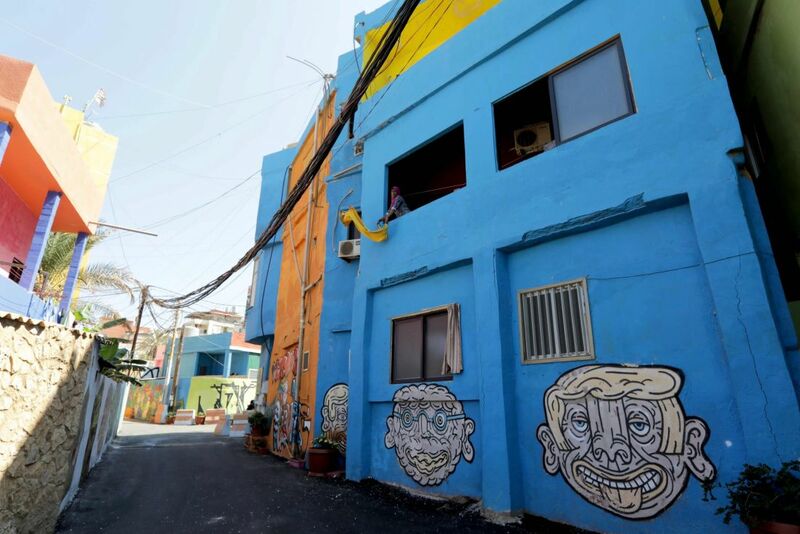 As part of his contribution to society, this idealistic businessman helped start Urban Dawn, which invited 50 artists from around the world to paint murals on the walls of Beirut neighborhoods that included his own, Ouzai – or Ouzville, as it is now branded – as well as Achrafieh and Burj Hammoud. According to a crowdfunding site for the Ouzville project, they started with the southern Beirut neighborhood, near the airport, because it’s “the landing point of Lebanon. 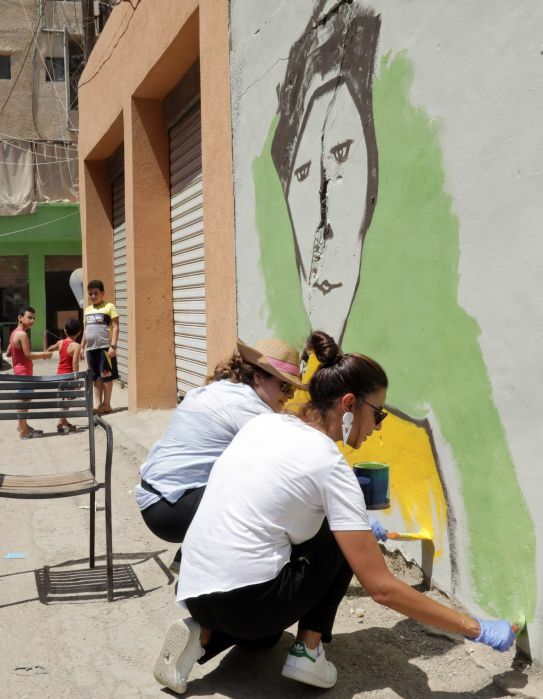 ... the first thing foreigners and Lebanese see upon their arrival and the last memory of Lebanon as they leave.” The first mural project there cost around $120,000. 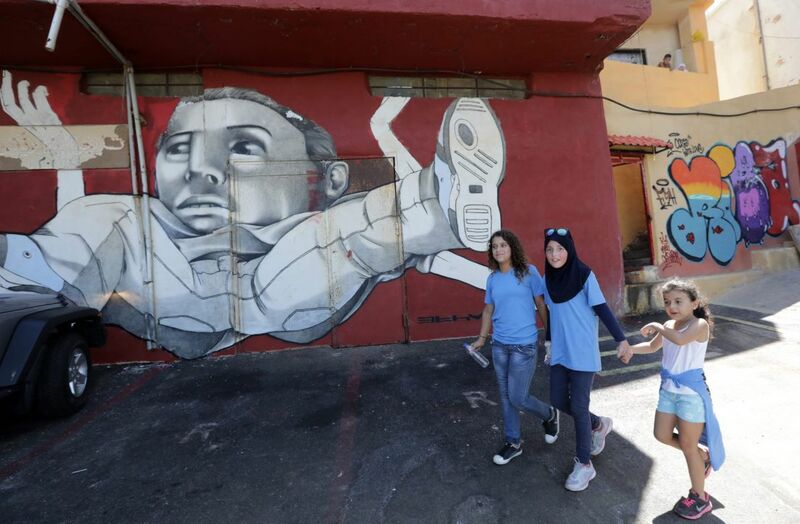 These extensive murals are the hallmark of a project whose goal, Nasser says, is to banish the fear that divides Lebanon, acquaint its residents with international art and give them a sense of belonging. Nasser attributes Lebanon’s divisions and fear to the horrors of the civil war of 1975-79. Nevertheless, the murals don’t depict war, weapons or blood; they are beautiful, aesthetic and colorful. There are similar projects in other Arab states. Dubai Walls, for example, also owes its existence to a corporate donor, which invited 16 street artists from around the world to leave their marks, writ large, on the streets of this lively Arab metropolis. The artists include Aiko, from Japan, who apprenticed in the New York studio of Takashi Murakami; Eelus, who works in London and Magda Sayeg, who has decorated buses in Mexico City. Since its beginning in 2016, the project has expanded into a venue for public expression by young Emiratis. 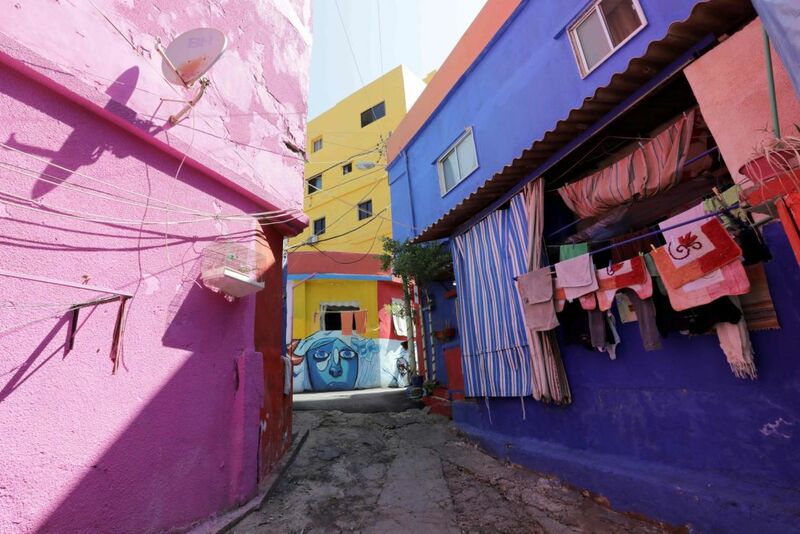 On the Tunisian island of Djerba, a similar project began in 2014 and has since developed into a kind of open-air museum, where visitors can also try their hands at making street art. For most people in the Middle East, the word “graffiti” is associated with the protest art that accompanied the Arab Spring revolutions. It began with hundreds of protest slogans scrawled in the dead of night by young people who turned walls into “newspapers.” But the slogans were quickly joined by drawings and caricatures that portrayed then-Egyptian President Hosni Mubarak as a tyrant, the police as a gang of criminals, Libyan dictator Muammar Gadhafi as a murderer and Syrian President Bashar Assad as a mass murderer. Some ascribe the outbreak of Syria’s civil war to drawings expressing disgust with the regime by a few youths in the southern town of Daraa. Compared to the new graffiti in Beirut, Djerba and Dubai, the protest art of the Arab Spring was crude and violent, full of color and vociferous captions. Some drawings were so accurate they resembled photographs — especially when they depicted the police running amok and abusing demonstrators. The Egyptian government couldn’t stay silent in the face of a flood of such drawings, which circumvented government censorship and expressed the public’s feelings. The protest graffiti later gave way to a new form that sought to embody a quieter, more civic revolution, one that no longer tried to topple regimes, but demanded rights and reforms. Yet as time passed since the revolutions, graffiti art has dwindled. A few of the artists gained international fame, like the Egyptian artist Ganzeer, who moved to Los Angeles after being persecuted in Egypt because he was suspected of belonging to the Muslim Brotherhood. But most of the street artists found new occupations and abandoned graffiti. Today, Egyptian and Tunisian street art from the revolutionary period can be found mainly in a few art books that discuss the connection between art and protest or revolution. 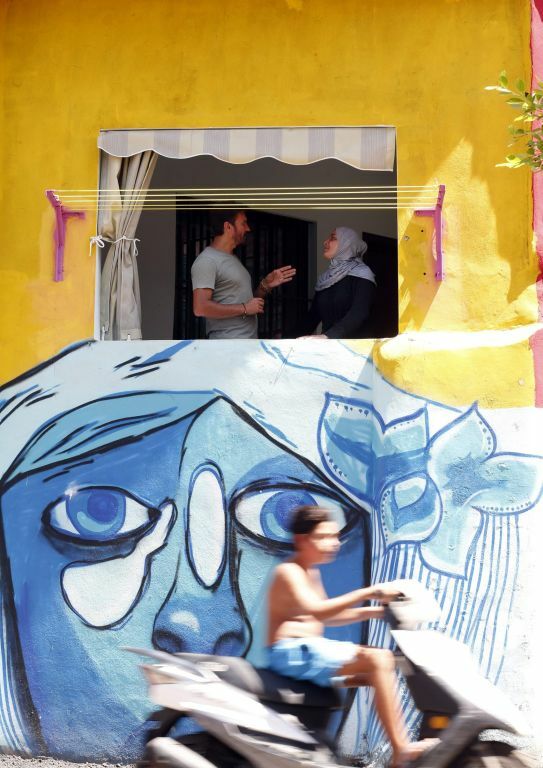 The new projects that have revived graffiti in the Arab world are therefore seen as anti-revolutionary, and some people accuse the artists of seeking to erase one of the most prominent symbols of the revolution by turning graffiti into “submissive art.” Even the Lebanese project has received plentiful criticism from people living in the affected neighborhoods, who charge that Nasser and his artists seek to depict a happy, colorful reality in place of the poverty and violence that are an inseparable part of their lives. 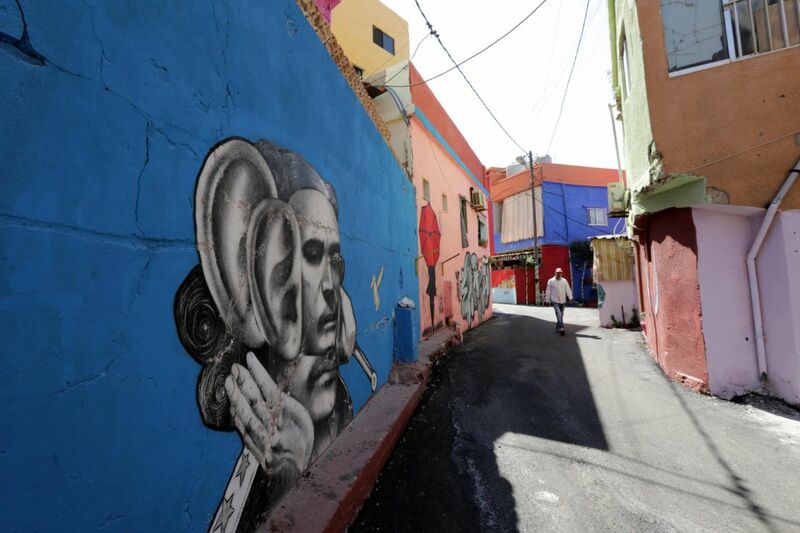 Others complain that graffiti artists, who are supposed to be committed to contrarian art and criticizing the authorities, are now cooperating with the authorities, since without government approval, they would be unable to decorate public walls openly, without fear. These critics charge that the governments are actually encouraging the artists, as long as they don’t deviate from government-approved artistic guidelines. The paradox is that only in countries where wars are still in process, like Syria and Yemen, can artists define themselves as genuine protest artists — as long as a bullet doesn’t kill them.